In a letter to the King County Council, former Superior Court judge Terrence Carroll, a member of the PFD from 1997-2014, wrote that any subsidies for the Mariners should require a more thorough vetting of their books. A former longtime member of the stadium authority that oversees Safeco Field says a new 25-year lease extension for the Mariners is too favorable to the team and should be sent back and renegotiated. In a letter to the King County Council, former Superior Court judge Terrence Carroll, a member of the Public Facilities District (PFD) from 1997-2014, wrote that any subsidies for the Mariners should require a more thorough vetting of their private books. The letter was obtained by The Seattle Times. 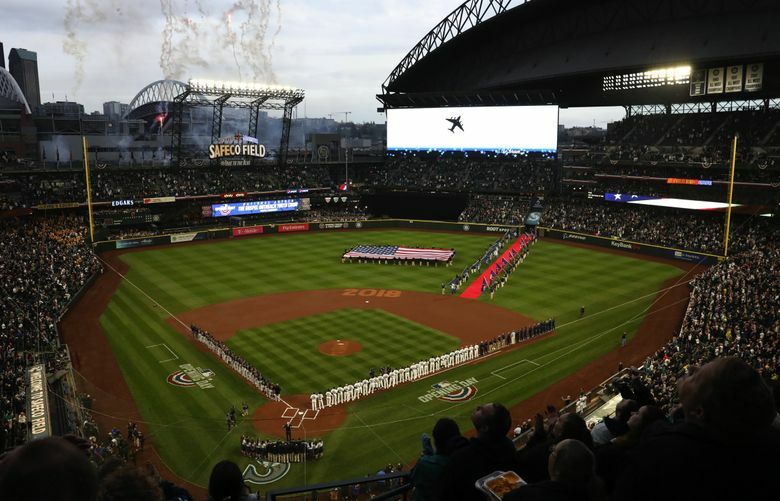 The Mariners have said they won’t renew the lease agreement unless King County provides the PFD about $180 million in public lodging tax money to cover capital projects at the stadium. That money was agreed to in lease negotiations but must be ratified in a vote by the nine-member county council. Safeco Field cost $517 million when opened in 1999, about two-thirds covered by public funding. The Mariners say they’ve invested more than $350 million in ballpark maintenance, operation and basic repair costs. The Mariners provide the PFD with general financial information, showing summary details such as net income, capital expenditures and signing bonuses, according to records released under public-disclosure laws. The Mariners and the PFD paid for a third-party study that says $385 million in capital stadium projects will be needed the next 25 years. King County budget chair Dave Upthegrove has argued that the additional lodging-tax money could be better spent on the region’s affordable housing crisis. He is supported in opposition, for now, by council members Rod Dembowski and Jeanne Kohl-Wells – an original sponsor of legislation to provide the money who has since changed her position. Carroll wrote that he believes the team’s financial success is largely because of a favorable existing lease expiring this year. “I was dismayed in joining the PFD in 1997 to learn that the lease had such favorable terms for the ballclub,” Carroll wrote. “The modest lease payment for both the right to play ballgames (as well as first class office space), including all concession and parking, naming rights, and ticket and broadcast revenue – seemed surprising even with the knowledge that previous owners had threatened to move the franchise. According to Forbes, the Mariners are worth $1.45 billion, up from $449 million in 2011. State law requires that, starting in 2021, 75 percent of the lodging tax be spent on housing and the arts – a minimum of 37.5 percent for each. Any leftover funds are supposed to be earmarked for tourism promotion, which Safeco Field falls under. But Upthegrove says the council can also extend all additional funding toward housing if it chooses. The county council held a hearing on the $180 million proposal last month. At least one additional hearing is expected ahead of a vote that could happen next month.